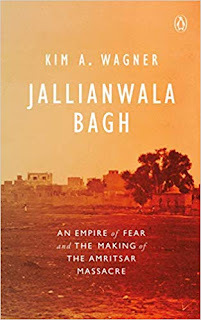 In Why I Am a Hindu, one of India’s finest public intellectuals gives us a profound book about one of the world’s oldest and greatest religions. Starting with a close examination of his own belief in Hinduism, he ranges far and wide in his study of the faith. He talks about the Great Souls of Hinduism, Adi Shankara, Patanjali, Ramanuja, Swami Vivekananda, Ramakrishna Paramahamsa and many others who made major contributions to the essence of Hinduism. He delves deep into Hinduism’s most important schools of thought (such as the Advaita Vedanta). He explains, in easily accessible language, important aspects and concepts of Hindu philosophy like the Purusharthas and Bhakti, masterfully summarizes the lessons of the Gita and Vivekananda’s ecumenism and explores with sympathy the ‘Hinduism of habit’ practised by ordinary believers. He looks at the myriad manifestations of political Hinduism in the modern era, including violence committed in the name of the faith by right-wing organizations and their adherents. He analyses Hindutva, explains its rise and dwells at length on the philosophy of Deen Dayal Upadhyaya, its most significant ideologue. He is unsparing in his criticism of extremist ‘bhakts’ and unequivocal in his belief that everything that makes India a great and distinctive culture and country will be imperilled if religious ‘fundamentalists’ are allowed to take the upper hand. However, he also makes the point that it is precisely because Hindus form the majority that India has survived as a plural, secular democracy. 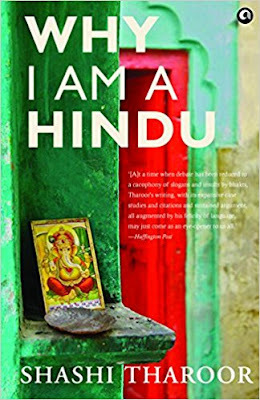 A book that will be read and debated now and in the future, Why I Am a Hindu is a revelatory and original masterwork. Shashi Tharoor is the bestselling author of sixteen previous books, both fiction and non-fiction, besides being a noted critic and columnist. 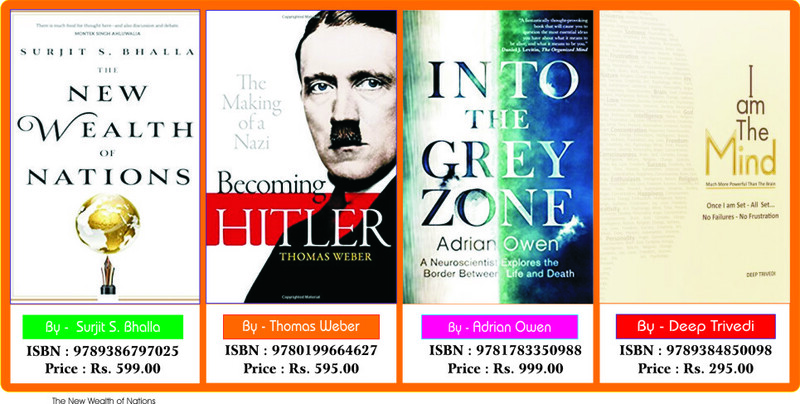 His books include the path-breaking satire the Great Indian Novel (1989), the classic India: From Midnight to the Millennium (1997) and most recently, An Era of Darkness: The British Empire in India, for which he won the Ramnath Goenka Award for Excellence in Journalism, 2016 for Books (Non-Fiction). 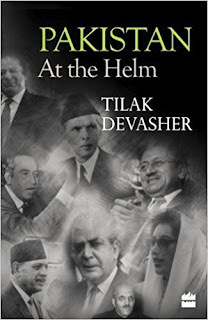 He was a former Under Secretary-General of the United Nations and a former Minister of State for Human Resource Development and Minister of State for External Affairs in the Government of India. He is a two-time member of the Lok Sabha from Thiruvananthapuram and chairs Parliament’s External Affairs committee. He has won numerous literary awards, including a Commonwealth Writers’ Prize and was honoured as New Age Politician of the Year (2010) by NDTV. He was awarded the Pravasi Bharatiya Samman, India’s highest honour for overseas Indians.